Our bilingual edition, translated as Something of the Sacred, appeared in 2007 from Factory School. For many years leading up to that publication date and following it, readers in the US could rarely hear Pérez read his own work, poor US/Cuba relations being one of the key factors restricting events. Recently invitations have been more successful, best exemplified by his 2014 fellowship at the Iowa International Writing Program. 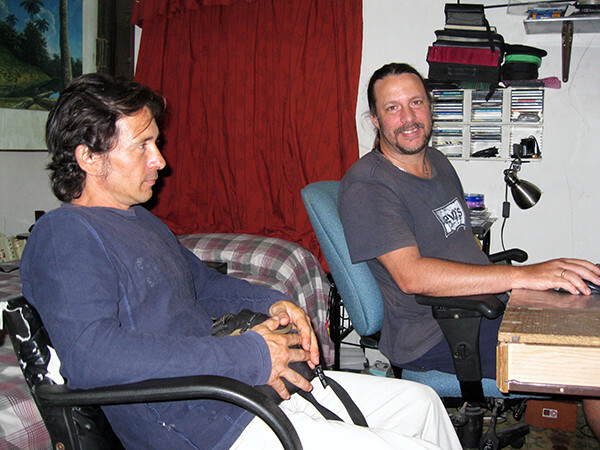 In 2010 I accompanied Pérez to a studio and requested that he record poems from Algo de lo sagrado. After I returned with those recordings on a CD came a series of mishaps: a lost packet followed by a catastrophic hard drive failure, multiple home and office moves with increasingly scrambled boxes, and on & on. This month I finally rediscovered our original June 2010 CD from Havana inside a misplaced box. After updating expired file formats, I'm posting his recordings of five poems in the original Spanish.